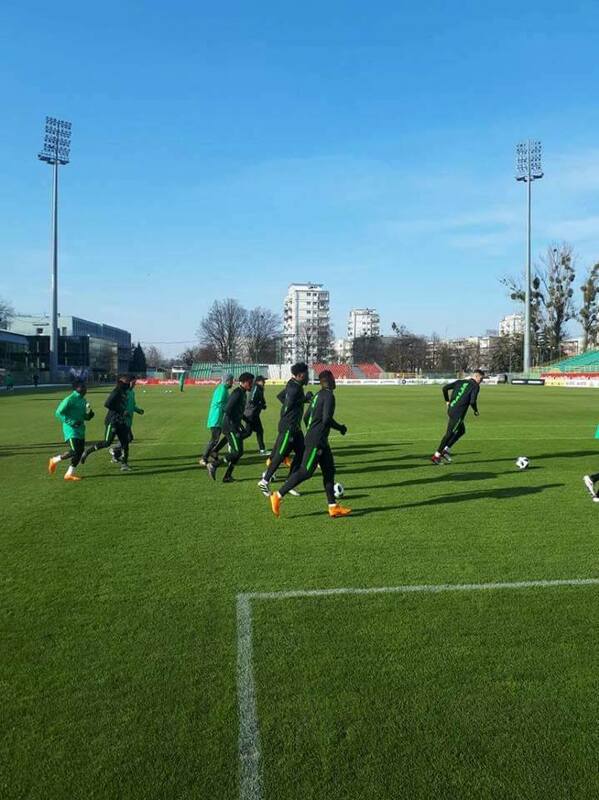 The Super Eagles’ Radisson Blu Hotel camp in Wroclaw has become a beehive of activities following the arrival of 22 players and the beginning of training sessions on Tuesday. Technical and backroom staff, alongside six players opened the camp on Monday, but the facility came alive with the arrival of goalkeeper Francis Uzoho; defenders, Kenneth Omeruo, Elderson Echiejile, Stephen Eze, Abdullahi Shehu and Chidozie Awaziem; midfielders, Joel Obi, John Ogu, Ogenyi Onazi, Uche Agbo and Wilfred Ndidi, and forwards Ahmed Musa, Moses Simon, Odion Ighalo, Kelechi Iheanacho and Victor Moses on Tuesday. Nigeria –based goalkeeper Ikechukwu Ezenwa and South Africa based Daniel Akpeyi are expected on Wednesday. A statement from the NFF on Tuesday indicated that Skipper Mikel is unlikely to make it to Wroclaw as he has been working hard at renewing his work permit in China, where he plays for Tianjin Teda. Midfield Trojan Oghenekaro Etebo is injured, and Egypt–based Junior Ajayi, who was unable to secure visa into Poland, will fly directly to London for Tuesday’s clash with Serbia at The Hive, Canons Park. Friday’s showdown inside the 43,000 capacity stadium formally opens the first phase of the Super Eagles’ preparation for the 21st FIFA World Cup finals, taking place in the Russian Federation June 14– July 15, this year.